From artist Greg Lipton! 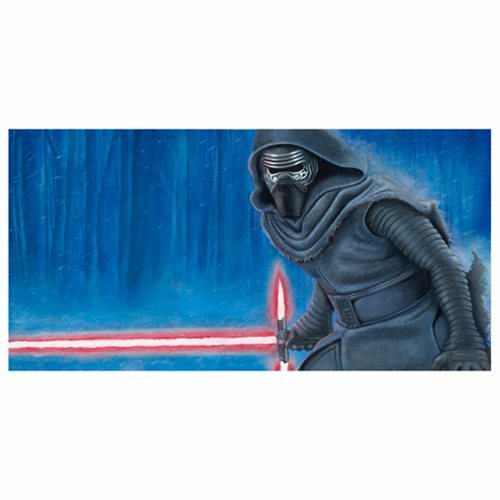 This Star Wars: The Force Awakens Dark Descent Canvas Giclee Print depicts Kylo Ren wielding his lightsaber from the scene in Star Wars: The Force Awakens where he fights in the snow with Rey and Finn. Hand-numbered and signed by the artist, this stunning piece of art from Star Wars: The Force Awakens is a limited edition of 95 pieces and comes complete with certificate of authenticity. Measures 28-inches wide x 14-inches tall.